Of the seven Acuras in their rankings, six of them had safety scores which averaged out to 9.8 out of a possible 10 points. The Acura RLX flagship luxury sedan and Acura RDX compact luxury SUV both contributed a full 10 points to the total. Of 16 Lexus vehicles, only 10 had safety scores that averaged out to 9.5 out of 10. Acura ILX: Scored 7.3 out of 10 based on 63 pieces of research. Acura TLX: Scored 7.8 out of 10 based on 45 pieces of research. Acura RLX: Scored 7.4 out of 10 based on 41 pieces of research. Acura RDX: Scored 8.9 out of 10 based on 29 pieces of research. Acura MDX: Scored 8.5 out of 10 based on 46 pieces of research. Are Acuras reliable? They are. 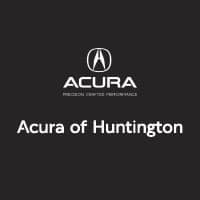 You can take a closer look when you explore the Acura lineup in person and take your favorite model for a test drive around Huntington. We’re also available to talk through financing options, so feel free to contact us online.